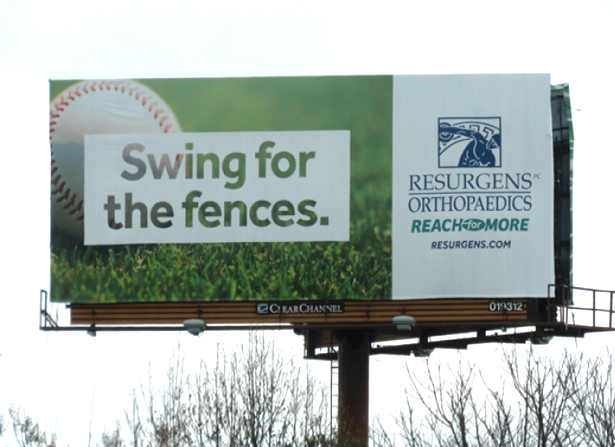 Lenz Marketing recently planned and executed an Atlanta-wide billboard campaign for Resurgens Orthopaedics consisting of six billboards strategically placed in and around the perimeter. The year-long campaign included rotating seasonal artwork displaying aspirational copy lines and images that speak to the practice’s Reach for More campaign. The boards can be found throughout the city including on I-85, I-75S, I-75N, I-285E, and on the Turner Field connector.